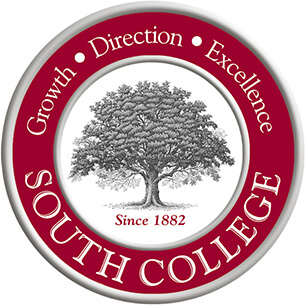 Since South College was founded in 1882, we have focused on serving students who want hands-on, career-driven education that will have a meaningful impact on their lives and livelihoods. More than a century ago, fulfilling that mission meant supplying on-campus offices so students could conduct business in the mercantile and banking industries while getting an education. Today, it means offering accelerated, hybrid, transfer, and distance learning programs. It means small class sizes, state-of-the-art labs, and campuses that are convenient to large numbers of students. Most of all, it means experienced professors who provide real world examples and lead in-depth discussions. South College is approved by the Alabama Commission on Higher Education to offer programs online as well as at site-based locations. A Private School License has been granted by the Alabama Community College System.